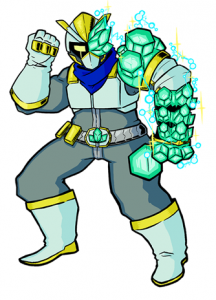 Aaron spoke with Kyle Carty about the recent Savage Tokusatsu Kickstarter recently. They discuss the genre, the new mechanics for the game and a lot more. If this interview interests you, check out the Kickstarter today! There’s also a free test drive of the rules now on DrivethruRPG. For those wondering, Aaron and the crew played “Day After Ragnarok” in Savage worlds way back when.